Here’s some news. 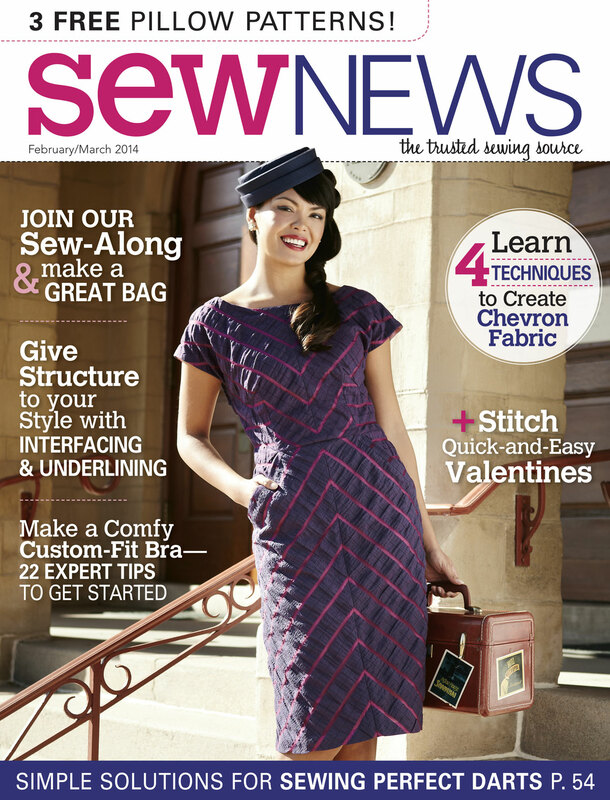 This year I’ll be writing a column for Sew News magazine. In every issue I’ll be talking about bridging the gap between Fashion and the real world and what that may mean for your own sewing projects. I’ll be covering the topic of how trends in fashion affect what we wear in everyday life and how to translate what appears on the runway into what to wear when you’re driving the carpool, working a corporate job, or attending school. The first column for the February/March issue addresses the difference between fashion trends and fads and talks about the continuing popularity of color blocking in fashion. In the column I show some examples from the runway to inspire you and help you to think about how you might translate what you see into something that you would feel comfortable sewing and wearing. In future columns I’ll be talking about developing a core wardrobe so you won’t stand in front of an over-stuffed closet in the morning with nothing to wear. I’ll also talk about dressing to compliment your body shape and how you can use ease and volume in clothing to your advantage. If you’re interested in subscribing to the magazine, it looks like you can also get digital subscriptions, for those of you overseas.